Instapaper on Apple Watch was surprisingly decent. Instapaper has become the latest big service to ditch its Apple Watch app. The most recent Instapaper app update removes the Apple Watch component, and there are apparently no plans to bring it back. One Instapaper developer explains that it didn’t prove popular enough to warrant a required rebuild for watchOS. 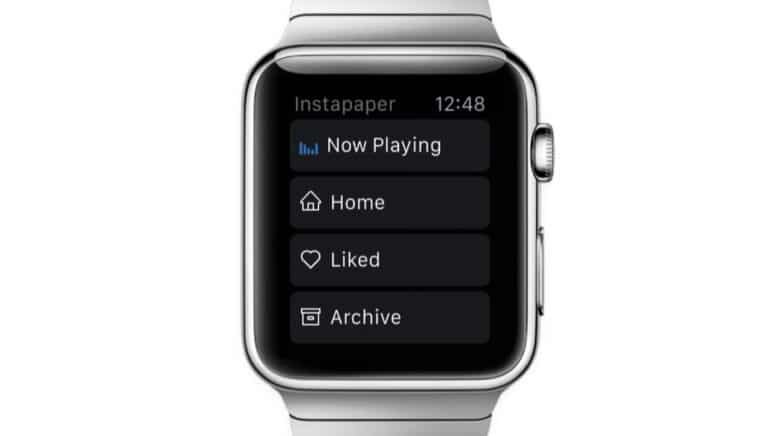 Instapaper was one of the first services to add Apple Watch support when the device made its debut in 2014 — and it was pretty neat on watchOS. You could use it to manage your saved articles and even have them read to you. The problem is that Instapaper was built using the watchOS 1 SDK. Apple recently deprecated that old code, so apps built using it no longer work on Apple Watch. Instapaper considered rebuilding its Apple Watch app so fans could continue using it, “but decided not to since usage was very low,” explains developer Brian Donohue. That’s it for Instapaper on Apple Watch, then — and it’s not the first service to drop support. Amazon, eBay, Uber, Twitter, Instagram, Google Maps and others have dropped their watchOS components in recent updates. It’s somewhat surprising when you consider just how successful Apple Watch has become — and how steadily Apple’s wearable business is growing. But very few people enjoy using apps on a tiny watch. Apps and services that offer notifications and other basic functionality work great. When you need to do something simple, quickly, and don’t want to take your iPhone out of your pocket, using Apple Watch is ideal. But anything that’s not quick and simple is better on your iPhone.